Click on the picture for my page. 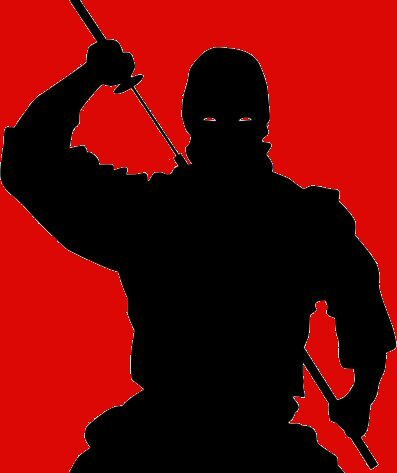 I am Fightback Ninja and I will help you to fight back against Scammers, Spammers and Time-Wasters. 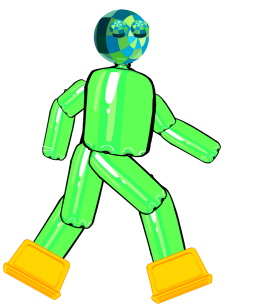 The Plastic Watchdog is Brooklands Radio's Eco Warrior - fighting to rid the world of plastic polllution. Pizza Express in Weybridge recently reopened after a refit and Graham Laycock and I went along. 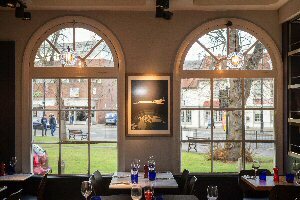 The restaurant has been themed on the world famous nearby Brooklands racetrack and aerodrome with stylish new pictures on the walls evoking the era of Brooklands races and flights and the home of Concorde. These are set against smart dark wood panelling with 30s style light fittings adding to the atmosphere of the era. 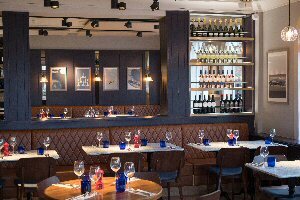 The restaurant is a bit deceptive as it looks relatively small from the outside but once inside further sections reveal themselves Tardis like, and each part has a welcoming feel to it. 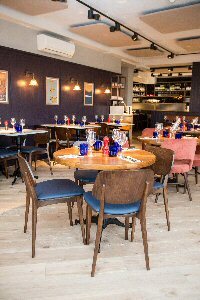 The smart, comfortable and cosy surroundings suit the Italian menu of standard pizzas, leggera pizzas, special pizzas and more savoury dishes and desserts and the kitchen is on display as part of the dinning area so you can see your pizza being prepared. The food was up to the PizzaExpress usual high standard and Graham chose Diavolo pizza which is hot spiced beef and pepperoni, followed by Tiramisu which was tasty and well presented. Being a big pizza fan and vegetarian I chose a Padana pizza followed by cheesecake and ice-cream which was very indulgent and delicious. 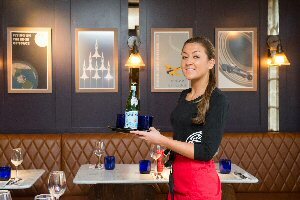 We thoroughly recommend you visit PizzaExpress at 1 Monument Hill, Weybridge to sample the good food, good service and pleasant atmosphere at a reasonable price. It's a good place to enjoy a meal with family and friends.